Did you have a Spooktacular Halloween? We hope you dressed up as a magic character and had a great time! 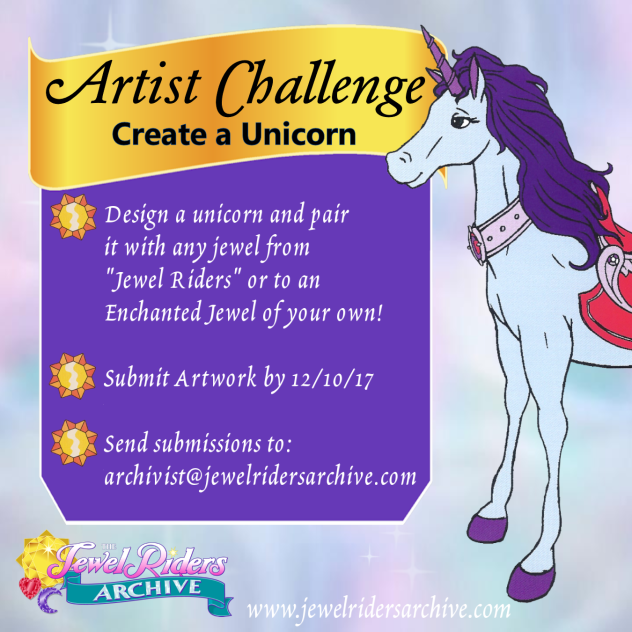 We also wanted to remind you of our Design-A-Unicorn Artist Challenge! 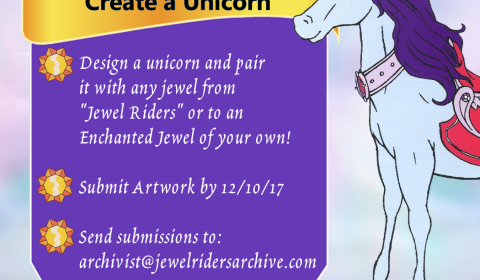 You have the opportunity to design your very own unicorn (and jewel pairing if you so desire)! Remember that you can design from scratch or use the coloring pages provided on the Artist Challenge page as a template. We can’t wait to see the fans’ creativity! And remember, submissions are due by 12/10/17, a month from today. November brings us some more site updates, including several new episodes of the second season uploaded to our YouTube channel. Since our late October Update, we’ve had Jewel of the Sea (one of the most enduring popular episodes of the show) along with Trouble in Elf Town and Mystery Island. As always, you can find both the International Starla and French Starla versions of these episodes on our YouTube channel as well. For many of the fans who lived in the United States during the show’s airing on broadcast television know, Mystery Island was the last episode that we saw. 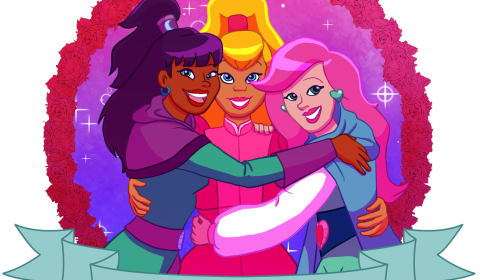 Many of us spent those pre-internet years in the dark, believing that Gwenevere, Tamara, and Fallon’s adventures never had a conclusive ending. It seems hard to believe in 2017 that there was a time when you might not know the full episode list of your favorite show. Many fandoms went through the process of piecing together fragmented episode lists into a cohesive whole. Read Ronnie’s personal memories below to look through a window in time! For me, “Mystery Island” is an episode that brings memories of mixed feelings to mind. The thing to note is that for Chris and I this was the last known episode for many years. So to our 10 and 11-year-old selves “Mystery Island” was the season finale. In the United States, “Mystery Island” was the last episode to be broadcast during the initial 1996 run. For me in my own way of coping with the fact that my favorite TV series had gone off the air, I tried to connect the occurrences of the episode to create a finale in my head. While Drake and the rest of the pack were absent, all three girls were present in equal roles, Tamara’s babies were all there (although Shadowsong wasn’t present), Kale, Morgana, the two Dweasels and Grimm were there, and the girls even transformed into mermaids! Did that one fact make it OK for this to be the last episode for me? Perhaps. But like so many other second season episodes, this particular episode was in my opinion “less than” due to the appearance of a rather ridiculous and annoying character like Snowball. Did it seem that every second season episode had to have one of these? How is it that the first season pulled off guest appearances so well, but the second season is riddled with missed opportunities! After the “Mystery Island” release, the show would be re-released in syndication during the earliest morning programming. Moving from an 8:00 or 8:30 AM, I can’t be certain of the time, to 5 AM and 4:30 AM time slot! While Grandpa was recording the episodes for us in the United States, my Dad was recording the episodes in Canada. He gave me both the first and second season of the recorded episodes on VHS as Christmas gifts during 1996 and 1997. If you read more about my life story in the about us section, you might understand a little bit more of the context of this particular part of the story. When I received the second season VHS at Christmas, it was quickly taken away from me and hidden in the closet. Ironic isn’t it… I honestly can’t remember whether I had even had the chance to watch the VHS or if it had been so quickly taken away that I didn’t get to see all the episodes. But the Canadian recordings had several episodes that for one reason or another, we did not have from the American broadcast. For one of the episodes in particular, “Jewel of the Sea,” I was so excited to find listed on the episodes that my Dad and Stepmom had been able to record for me! As you may know, both Tamara and mermaids are a love of mine, and this episode blended the two together perfectly! I must have already anxiously asked my parents if they had episodes reaching beyond “Mystery Island,” but in receiving the video tape, my suspicions were confirmed when the last episode they had recorded was just that. Did you ever see notification of why the series was canceled? My Stepfather probably made up this story, but he told me that he read that a popular television show (Jewel Riders) was canceled due to copyright. Or was it there wasn’t a good reason why it was cancelled… note to parents – although you might think that by telling your children little white lies you’re helping, they will remember them! And apparently confuse them two decades later. 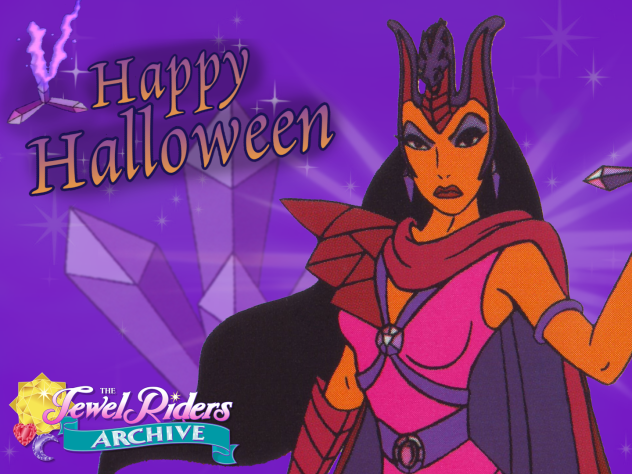 A few years later, Stormy – leading mistress of the Jewel Riders fandom and queen of the Avalon website – advertised that she was able to send a VHS with the final episodes to anyone who wanted one. On the list were three episodes that Chris and I did not know existed – the final three episodes of the series! We must have been around 12 and 13 at the time. So this was about three years after the initial syndication dates. We excitedly got our few dollars (Note from Chris: we sent CASH through the mail haha) together and mailed them to Stormy, and within a couple of days received a VHS in the mail. This was our holy grail! The conclusion of our favorite animated series. What were these episodes to contain? What was going to happen to our beloved team of intrepid adventurers? You too will discover in the following three episodes we are very proud to share with you! On a sidenote, in asking Stormy these so many years later about the episodes, unfortunately it isn’t known where these final episodes came from. Did these episodes release in your hometown in syndication? To our knowledge, these episodes were never released in North America. So we are very lucky to have the original Princess Gwenevere and the Jewel Riders audio. Again, these are a copy of a copy… of possibly a copy. So while the audio quality might not be the best, we are very fortunate to have the audio track as the original creators intended to release the episodes. This brings us to the final three episodes of the show, which form a sort of trilogy. 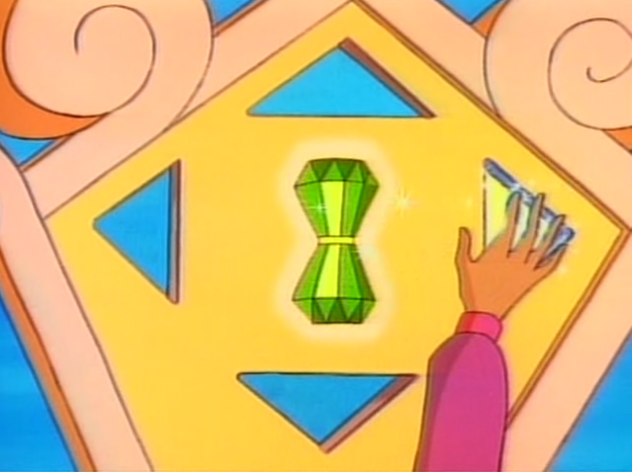 “The Fortune Jewel,” “The Spirit of Avalon,” and “The One Jewel.” You can tune into our YouTube channel every Friday starting 11/17 through 12/1 to see the final three episodes of the series, presented with the Princess Gwenevere audio track in a widely available release with the best possible picture and sound we have available. Compiling these episodes – particularly the Princess Gwenevere version, which is our childhood version of the show and has never been widely available online – has been a challenging labor of love. As Thanksgiving approaches, we want to say how thankful we are for all the support, comments, and shared memories as we’ve talked Jewel Riders for almost two and a half years. We hope you’ll join us as we see the final nostalgic adventures of the Jewel Riders on screen together.